We welcome you to come worship and share Holy Communion ​with us . ​​​For more information, ​please call the church office at 512-756-2334. Cathedral in England. 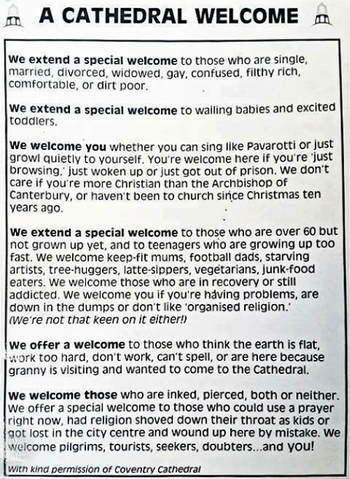 We extend the same welcome ​to all ​who come to our little parish church in Burnet.